TRICON TOWERS is situated at the centre of North An Khanh , the largest urban area in Northern Vietnam, by Lang Hoa Lac dual carriage way. 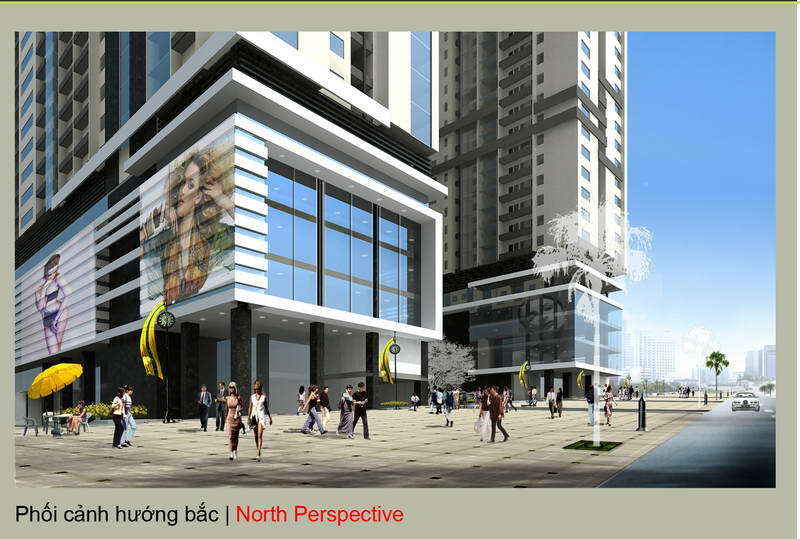 With its superb location directly on the hot spot of North An Khanh- Ha Noi, this project is brilliant combination of elegant apartment residences and stylish international shopping centre at its best. 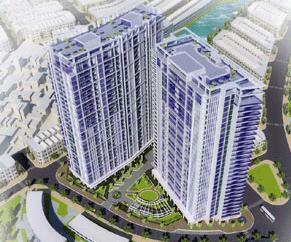 Minh Viet Investment Corporation is the lead investor in this 145 million dollars project. This 17,211 m2 land at Phuong Vien, Song Phuong Commune, Hoai Duc District, Ha Noi will be masterfully translated with energy and excitement into the physical form of Tricon Towers by the internationally acclaimed Singapore-based firm, Design Consultant Company, RDC. The Tricon Towers features a design that distinguishes itself from anything seen before. From floor plans and sightlines to colors and materials, architects and designers have approached each of Tricon Towers’s 732 multiple purpose residences as a unique work of art, with the appeal of new experiences and sense of pleasure. Each apartment has 2 – 5 bedrooms, at least 2 bathrooms, a study room blended with highest quality of technology available such as telephone/ internet access, cable TV and air-conditioning. Tricon Towers are surrounded by public parks and lakes hence a breath of fresh air is only a step away. Natural resources are effectively put into practice to serve diverse desires of residents. Multiple levels of gardens that are superbly designed as an added bonus to the 2- storey units and penthouses provide an extravagent venue for outdoor activities and other entertainments. Ultra-exclusive amenities are available for all residents and guests – including swimming pools, VIP sky lounge, executive clubs, children playground, open-air yard and fitness centre. Adding to the ultimate privileged atmosphere, the building offers exquisite restaurants, a luxurious shopping centre, high standard kindergarten, heath care centre. The premises is protected by around the clock security. Each floor has two emergency exits and fire extinguishers. Modern elevator systems meet strict requirements with fast performance. Residents and guests of the shopping centre are accommodated with 5 floors of secure parking facilities. 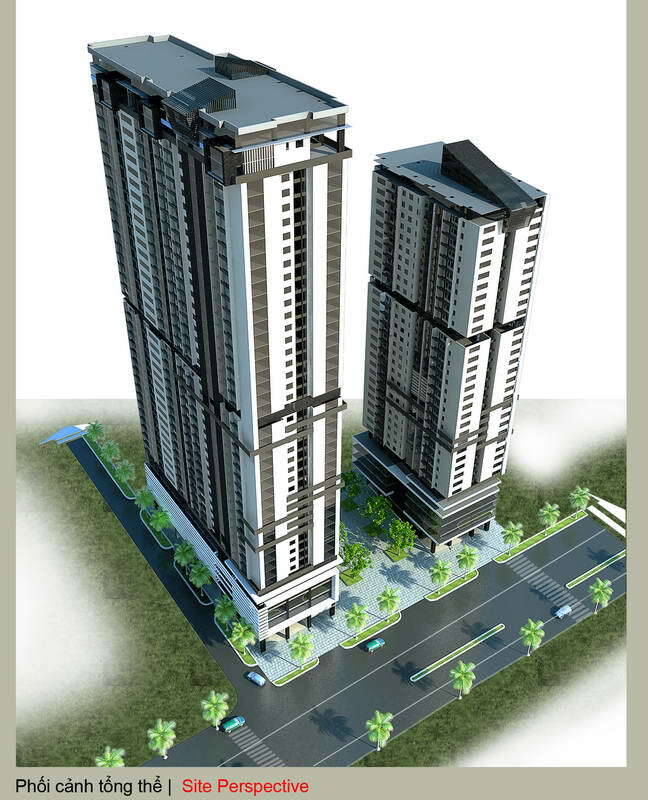 The Tricon Towers is the embodiment of elegance, comfort and class. 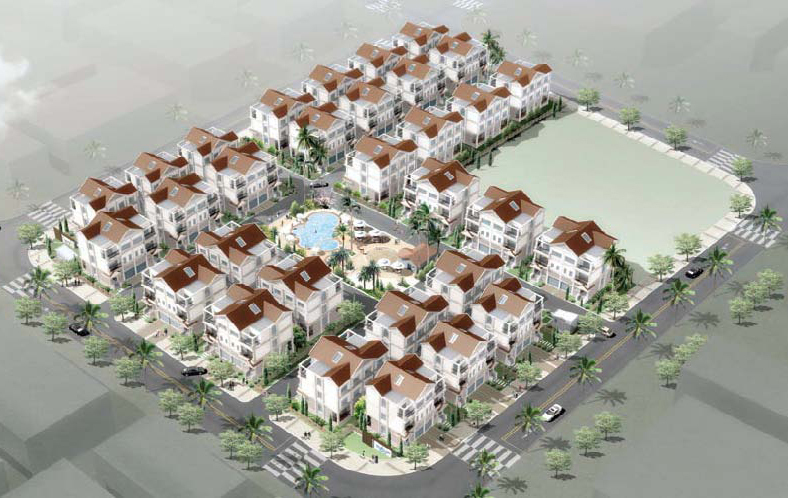 The project will be carried out by international construction group under supervision and inspection by independent quality control and management in order to meet our completion date in the third quarter of 2011. Telephone: 84.4.768 9602 – Fax: 84.4.7689603. Euro Land with the total area of 8,238 sq.m in Mo Lao urban area is one of urban areas of Central Ha Noi and has the most completely convenient transportation system. It is located between highway No.6 and extension Le Van Viet street and just 1.5 km from National Conference Center. Moreover, Euro Land is highly appreciated because of its perfect design together modern technical system and synchronic perspective. 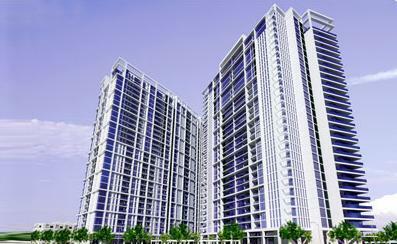 The development comprises two 29 floor towers exclusive of 2 basements for each tower. Each basement has the total area of 6,936 sq.m, a part of which is for techincal area. The rest area of basement is for parking with capicity of 120 – 140 motorbike and car lots. If the demand for parking lots increases, 1.5 hectares of TSQ International School Development’s basement nearby can be used. The whole 1th floor is for public services conference, event celebration area, mini supermarket, fashion shop, well-equipped gym, fast food restaurant, beauty salon, and etc. The more important part of Euro Land development is to construct a kindergarten area to create best conditions for children here to have a stydying and health care environment like in Europe. The rest floors are separated apartments with areas from 70 sq.m to more than 200 sq.m which were designed to take advantages of natural wind and light coming from Nhue and Trung Van rivers. This will be considered as an ideal living environment for those who choose to live here. The total residential area: 105,675 sq.m. Two isolated blocks without any works surrounded have an East Asian styled design. Especially, every living room assure both a nice view to outside and a private space for each household which bring Euro Land’s inhabitants comfort, relaxation after hard work. In addition, 14 penthouses in the two towers designed with European style are truly perfect to their real owners. 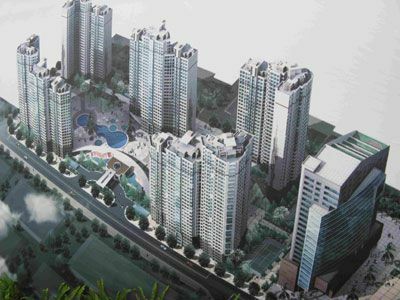 This is one of the factors that distinguish Euro Land from existing apartment in Ha Noi. Beside differences in form, Euro Land will be installed with technical system satisfy modern standards from lifts, air-conditioning and ventilation systems, water supply as well as gas system to security one. – Interior design consultant: Bruce Henderson Architects Pty. Ltd (Australia). – Technical electromechanical and structure system consultant: IDT International Group (Australia). – Gleeds (England) is putting direct management on the development. Total Investment Capital: 70 million USD. Estimated that the development will be launched in Q4, 2011. Two blocks of independent but carry the same language architecture located next to each other with the shareholders, modern, with volume for services and the attractive houses luxury. Image from the architecture of 2 buildings of the combination block by two block of the foot sole and high-rise blocks with a total volume increased to 1 is 35 storeys with the main service and commercial houses, block 2 of 45 floors with the office services and housing. Website functions will be public layout in the lower floors of buildings, the technical area is located at the interface between the 2 main functions, or between the apartments and the public services. In addition to regular apartments with a variety of apartments with area from 75 m2 to 240m2 apartment is in the top 2 floors of the building layout 8 apartments with high quality private swimming pool, garden with wide viewing angle and from the high of the most beautiful buildings. 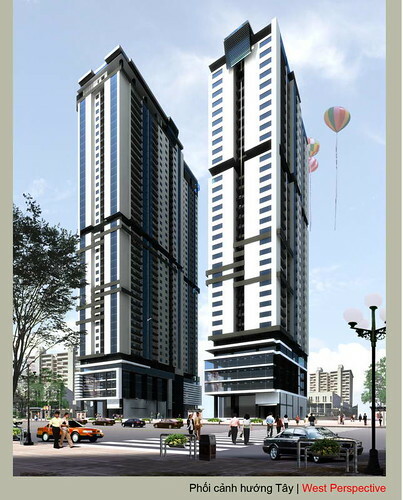 This is the apartment block to meet the needs in the highest perfection in Hanoi. Changing the apartment by modun square network of apartment space with 3-dimensional decoration. Increased lighting, landscape front, the back for each apartment. Works with 03 basement was held as to where the car (the size of 1 car / 1 households). The technical level in the appropriate position. Welcome main lobby overlooking the Tran Phu service from the service. The welcoming lobby of the apartment blocks and offices held in Van Quan main road location and traffic other additives. From the service and rooms are designed with surface adjacent to the main road in order to maximize accessibility to consumers. Scale investment: 02 blocks of 45 and 35 floors. Investment capital 1700 billion VND. 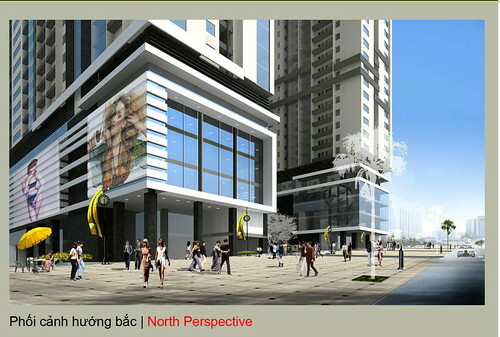 Hyundai RNC Ha Tay Company on Dec. 5 unveiled plans for a Starclass Hanoi luxury building project in Hanoi ’s Ha Dong City. According to the investor, Hyundai RNC Ha Tay Co, the project will be overseen by RoK’s international contractors Woongjin Kukdong, who also drew up the plans for the complex. According to the project plans , the complex will be built on 4.6 hectares of land and will include five apartment buildings containing 885 high-class apartments, a 21-storey trade centre and 100 luxury villas, constructed in a classic Korean style. Construction of the apartment buildings and the trade centre is due to commence in early 2009 and is expected to be completed in 32 months, according to a Woongjin Kukdong spokesman. HYUNDAI RNC Ha Tay Co., LTD is a large integrated real estate, construction and engineering company with offices and involvement in many very-large-scale civil and architectural projects worldwide. 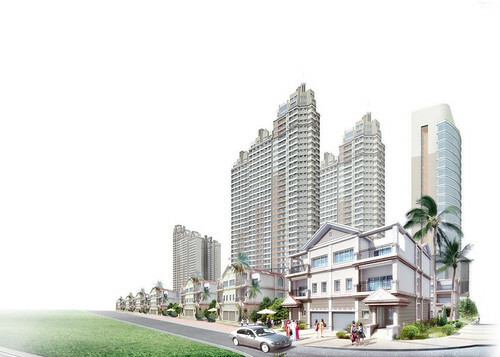 In Ha Dong city – Ha Tay Province, Hyundai RNC is carrying out about six high-rise building and 99 villa project and have a plan to participate in numerous building and architectural works in Vietnam as well. Address: 11 floor, No.1 Lang Hoa Lac road, Me Tri ward, Tu Liem district, Hanoi. Ha Tay Province, set to be merged with Hanoi, attracted more than US$1 billion of foreign direct investment in the first five months of this year, exceeding the $800-million year target, a local official said. The province to the west of the nation’s capital pulled in 17 new FDI projects, Nguyen Van Tu, deputy director at the local planning and investment department, said over the weekend. Most projects in the area focus on industry and construction. “The huge foreign investment into Ha Tay is attributed to the province’s good policy for attracting investment and its great development potential,” he added. South Korea is the biggest investor in the province to date, with six projects costing as much as $827 million, followed by Malaysia and Singapore, according to Tu. The National Assembly on May 29 approved a plan to triple the size of Hanoi from August 1, taking in Ha Tay.